Chinese smart phone brand Honor has expanded its range of smart phones with the recent launch of the Honor 7X and Honor View 10. 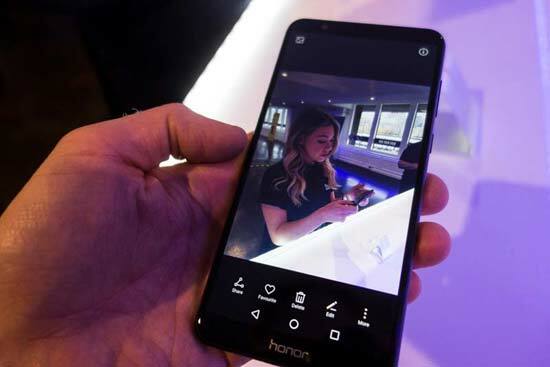 The brand, which is a subsidiary of Huawei, is already popular in China but is growing in the UK, being a low cost alternative to other big players in the smart phone market. An Honor 7X is priced very competitively at £269. What you get for the money is a large and wonderfully vibrant high-resolution screen in 18:9 format. It’s a 6in, edge-to-edge 2,160 x 1080 pixel, 2.5D curved glass display. But you’re here to read about the camera. Well, the Honor 7X features a 16MP rear facing camera and an 8MP front camera. All good so far. 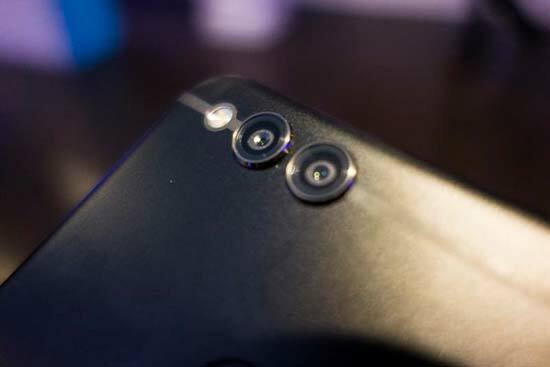 A look on the outside and you’re thinking it’s a dual rear-facing camera set up, but one of those cameras is a 2MP depth sensing one, so there is only one rear-facing imaging sensor. This is not dual lenses with different focal lengths. Video specification on the face of it is rather modest, with Full HD 1080p videos at up to 30fps only. Slow motion videos are recorded at a lower 640x480 pixel resolution. Also, there is no image stabilisation, which will affect image clarity of photos at slower shutter speeds and videos, even when the phone is being held quite still. We’ll of course go into more detail about the camera features and performance in this review, but first let’s take a look at how the phone handles. Honor 7X was launched in the UK on 5th December. For more information about the phone, please visit the Honor website. For a phone costing less than £300, the Honor 7X feels solid and looks great. The smooth metal body - which is a little slippy for our liking - has rounded edges, complemented by the 2.5D curved glass display. This all makes for a tough phone that should take a few knocks no worries. Fingerprint ID scanner is positioned in a really comfortable access point on the middle of the phone’s rear side and the phone activates speedily on touch of your index finger. When the large edge-to-edge screen comes to life it is wonderfully vibrant, without being overly saturated. It’s hard to believe such a great screen belongs to a phone at this price point. The 6in edge-to-edge screen is in 18:9 format and its 2160x1080 resolution display gives a crisp image. Such a wide format is a big plus for gamers, while in the camera app the menu icons can be positioned outside of the picture frame for an uninterrupted display of live view. A neat feature is the one touch dual screen display, where you can easily view messages as they pop up while operating other apps. Only a screen this large and in 18:9 format adequately provides for such a function. According to Honor, the battery inside is a powerful 3,340mAh unit. That battery capacity provides power for up to 22 days standby, 12 hours video playback, 21 hours talk time or 12 hours internet. Impressive stuff. The battery can be charged to 50% in 30 minutes, though a full charge takes longer than we would expect. Operational speed is fine, with an impressive 4GB ram. We did not at any point experience glitches or lags when using the phone. At a generous 64GB, it will take a long time to fill up the internal storage with photos and videos. There is also support for micro SD cards, up to 256GB. That micro SD card slot doubles up as a second SIM card slot. Let’s now get into the nitty gritty of the camera app. The camera menu is laid out just how we would like it. As mentioned, the large 18:9 format screen allows the menu icons to be positioned outside of the live view picture frame, which makes for a tidy display. Swipe to the left and you find the plethora of shooting modes. These include the following: Photo (auto), Pro Photo, Video (auto), Pro Video, HDR, Panorama, Light Painting, Time-Lapse, Slow-Mo, Filter, Effects, Watermark, Audio Note plus More. Swipe to the right and the Settings menu appears, where there is access to image Resolution, GPS tag, Watermark, Camera Grid, Mute, Timer, Audio Control, Touch to Capture, Capture Smiles, Object Tracking, Touch & Hold Shutter, Volume button unction, Ultra snapshot and image adjustment. On the main camera screen you have quick access to library, photo and video modes, plus direct access to the Flash Mode, Wide Aperture activation, Portrait Mode, Moving Picture and switching between front and rear cameras. When certain shooting modes are selected, a couple of sliders appear at the bottom of the screen, in order to make manual adjustments to the severity of the effect. That is a lot of controls and modes on offer, but it is all laid out really well and handles fine. 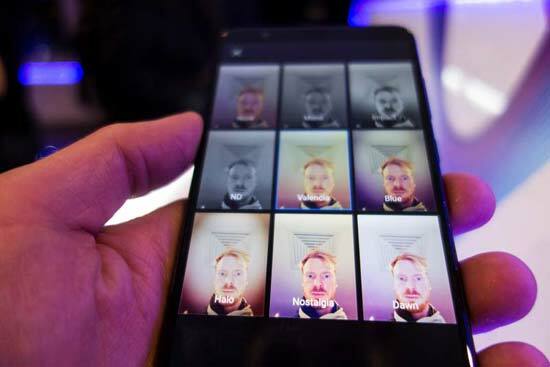 Operationally, the front camera caters well for selfies, with automatic remote capture functions. 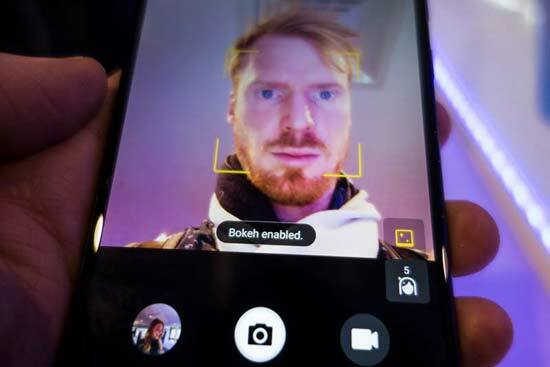 These include smile detection, audio detection when you say Cheese, touch shutter, plus gesture where a 3 second timer is activated once your palm is detected. Unfortunately the Honor 7X does not feature image stabilisation. No IS does have an impact on how the camera is used - you’ll need to be particularly conscious of keeping the phone still for photos and videos if you want sharp images. Honor says that the Honor 7X features phase detection auto focus that can acquire a sharp focus in as little as 0.18 seconds. In reality, it seems quick enough when the lighting is good. Find yourself in low contrast light and there is more focus hunting. Over time you may find several out-of-focus low light shots in your gallery (which may also be the lack of IS). But hey, this is a phone. But wait now, what is this, a histogram in playback? There is a novelty on a mid-cost smart phone. Tap the info button when in image playback and there is a wealth of information about the image; exposure settings, focal length, file size, GPS and that glorious full histogram. Through the histogram you can tell how good your exposure settings were and make any adjustments accordingly - which is all possible through Pro Photo mode where exposure compensation can be applied or the metering mode changed. There is enough in the Honor 7X to keep photographers happy.